There was a man sent from God, whose name was John. He came as a witness to testify to the light, so that all might believe through him. He himself was not the light, but he came to testify to the light. This is the testimony given by John when the Jews sent priests and Levites from Jerusalem to ask him, "Who are you?" He confessed and did not deny it, but confessed, "I am not the Messiah." And they asked him, "What then? Are you Elijah?" He said, "I am not." "Are you the prophet?" He answered, "No." Then they said to him, "Who are you? Let us have an answer for those who sent us. What do you say about yourself?" He said, "I am the voice of one crying out in the wilderness, 'Make straight the way of the Lord,'" as the prophet Isaiah said. Now they had been sent from the Pharisees. They asked him, "Why then are you baptizing if you are neither the Messiah, nor Elijah, nor the prophet?" John answered them, "I baptize with water. Among you stands one whom you do not know, the one who is coming after me; I am not worthy to untie the thong of his sandal." This took place in Bethany across the Jordan where John was baptizing. 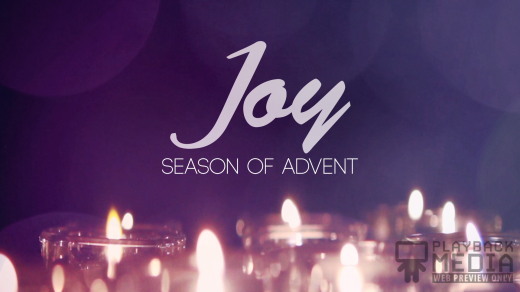 "Are We Really The Ones Whom God Has Saved"
Today is the third Sunday of Advent, the Sunday of Joy. This can be a bit ironic as many people suffer from the Christmas blue. 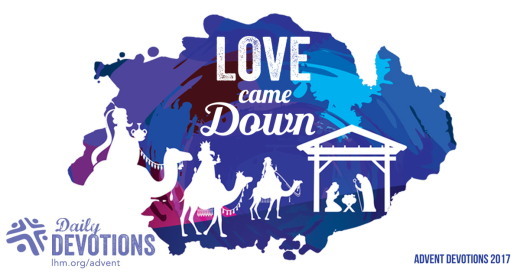 The theme of today's service is therefore the blue's, or more importantly, how to overcome that depression which particularly manifests itself around Christmas time, as many people see the weeks before Christmas as something to endure ... rather than enjoy. Do we as Christians look forward with joy towards Christmas; because there is more depression and suicides around Christmas time, than any other time of the year? This therefore does not suggest as the season of joy. Even John the Baptist in our Gospel lesson this morning is very depressed. John is wondering if Jesus is the Messiah that he has been proclaiming. After all John is in prison because he was doing the Lords work, and now John is wondering whether he was doing what God wanted him to do; because if Jesus was not the messiah, then everything had been in vain. Now John was the first prophet to proclaim Jesus as the Messiah, and much of John preaching came from the Old Testament itself. Like some of the verses we read in Isaiah 35 this morning. Verse 2. They shall see the glory of the LORD, the majesty of our God. Verse 4. Here is your God. He will come with vengeance, And with terrible recompense. Verse 10. And the ransomed of the LORD shall return, and come to Zion with singing; everlasting joy shall be upon their heads; they shall obtain joy and gladness, and sorrow and sighing shall flee away. John is in a pretty scary situation; he probably knew his days were numbered and he was wondering where he went wrong by proclaiming the coming of Jesus as the Messiah. But where is this messiah because instead of preaching hellfire and brimstone, Jesus was doing works of mercy? John therefore was very confused; and he really needed to ask Jesus if e was really the “one”. Years ago I received a great Birthday card from my wife Barbara. On the outside it read: "Sweetheart, you're the answer to my prayers"; but when I opened it the inside was inscribed, “You're not what I prayed for exactly, but apparently you were the answer." Thanks. For thousands of years, the Jewish people had been praying for a Messiah, a deliverer who would conquer their enemies and establish a kingdom of righteousness and might. Their deliverer would be powerful, a warrior and a king, and through His power, the Jews would again reign in peace and prosperity. Then along comes Jesus. A poor carpenter with questionable friends who claimed to be the long-awaited Messiah: come to set up a very different kind of kingdom. And so we can forgive even Jesus' strongest supporters for saying, “You having a laugh. Are you really the answer to our prayers? John the Baptist had also been praying for this Messiah all his life. John had even been demanding a stern call to penance for those who would follow him; while been judged harshly and condemned by the powerful ruling religious establishment; the Pharisees. John's idea of Jesus was therefore one of a warrior type, someone as we said earlier who would preach fire and brimstone. John had even said himself that when the Messiah appeared He would baptize with the "Holy Spirit and with fire." John must have been asking and saying "Where is this fire, where is this judgment? And why, if the messiah is here, am I this prison? I thought I knew my cousin pretty well, and I remember that day in the Jordan when I baptized Him. What a glorious day, with God’s whole plan being put into play, but, where is he now? Why isn't He doing what I said He would do? Is He really the one or should I look for another?" And then imagine if you will for a minute how he heard the answer, and the feeling that must have overcame him when his disciples reported what Jesus had said. "Go and tell John what you hear and see. The blind receive their sight, the lame walk, the lepers are cleansed, the deaf hear, the dead are raised, and the poor have good news brought to them. And blessed are they who take no offense at me." We will go further into this answer: have the blind received sight? Remember the blind man Jesus met on the road? Making a paste from the dust in the road, Jesus touched his eyes and his vision returned. Ask that man, "Is Jesus the One?" And ask the millions of others who have been blind to the truth about themselves and about God, but who've found that Jesus opened their eyes. Ask them, "Is he the One?" Have the lame walked? Go and ask the paralysed man whose friends lowered him through the roof on a mat before Jesus. Ask him, if you can catch up with him; "Is Jesus the One”? And ask the thousands whose feet never seemed strong enough to stay on the right paths, but through Jesus have found the strength to turn around and walk true. Ask them, if Jesus is the One?" And today, ask the countless numbers who have found Jesus to be the liberator from their prison of drugs, greed, loneliness, and fear. Ask them also, "if he the One?" I know I am preaching to the converted, but in response to John's question, Jesus could simply have said, "Yes, I am the one." He doesn't do that, but neither did He evade the question. Jesus does what he so frequently does when asked a question, He refers them to scripture and throws it back on the questioner in typical Jewish style. And any psychologist will tell you that an answer, to be long lasting and valid for the questioner, must always come from inside the questioner. Jesus sent John's disciples back to John with the very quote from Isaiah we read in the first reading this morning. 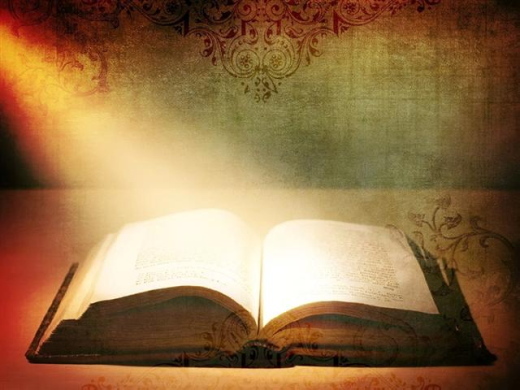 Jesus knew John would understand, as John was the greatest prophet of the Old Testament; and John new his scriptures. Now to move on, why did Jesus choose these particular things to prove his Lordship and what does this tell us about his priorities? These miracles all seem to involve restoration and compassion. Just as they are today, the deaf, the blind, and the lame are kept outside the mainstream of society; who were and are often forced to beg support for themselves; as others view their disability as a punishment from God. Lepers were outcasts, unclean, cut off from all social or religious acceptances. Jesus didn't just hear these people - he restored their place in society. And Jesus' restorative powers were never on greater display than when he brought a dead person, Lazarus, back to life. These answers demonstrate Jesus' compassion for the least and the lowest. They remind us that Jesus came for the hurting, helpless, and overlooked people of society, and that may even include us here today. This is meant to be the season for Joy. Joy is not something that we can seek; it is something that overtakes us. Joy should not be confused with happiness which is temporal and reflects a situation; neither is it contentment which is also a form of happiness. Joy happens when we get an insight into what we are doing conforms to the will of the Lord. It is that feeling we get when we know that we are in the right place at the right time. It is that security we feel when we know the Lord, and that He is Lord indeed. However, I know personally that this joy comes and goes, and it can go more than it comes, but it is great when it is here, as we gain glimpses of what God really is, and what God is all about. Joy therefore is something rather overwhelming, and we feel secure for our future; whether it is in our family relationships, in our church, or in our community. And the gift of joy not only comes from God and stays with us; we are free to pass this joy on to others. How many times in your life have you made a dull situation a pleasure because you have this great joy in you heart? How many times have you been the key to success? It is that type of success that comes not because of your efforts nor hard work, but because you are able to pass something on. Something that is very hard to define, but you are aware something has happened. Do you know, we all have that ability, but only a few of us know that we can pass it on and use it for what is intended. When we allow God to do His works through us, we in turn gain peace and contentment. To finish off I want to turn this whole issue around on itself just as Jesus would. John this morning was asking Jesus if He was the one. Could Jesus in heaven be asking us this morning, are we His one. Are we fit to be Jesus representative here on earth? The bible is very clear that we are His body in the world today. It is through us, Jesus can touch people's hearts. With our hands we can reach out to the lonely, the helpless and insecure. With God’s words we can comfort the grieving, and with our voices we can proclaim good news to the poor." Jesus asks you today, "Are you the one, or am I to wait for another?" The harvest is plentiful but the right kind of labourers are few. With Gods anointing and only with God’s anointing we can reach out to others today. We may not be able to perform miracles in the way Jesus did, but we can work to bring about a better world; where those in need are ministered to, and the good news of a loving God is made known by word and by action. God our strength and our hope, grant us the courage of John the Baptist, constantly to speak the truth, boldly to rebuke vice and patiently to suffer for the truth's sake; in the name of Jesus Christ our Lord who lives and reigns with you and the Holy Spirit one God now and for ever. Morning Devotions with Cap'n Kenny - Will You Say Yes? A major emphasis of Christmas is on the experience of Mary, the mother of Jesus. On this, the third Sunday of Advent, let us consider Mary as an example of obedient faith in God, when she said yes. Mary was an unknown woman who lived in Nazareth and was from the tribe of Judah, and the line of David. She was a poor girl, and most likely never wore fine clothing. Since the days in Bethlehem she is the woman honored above all women in the Bible. She has gone down in history as being very exceptional because she is the mother of Jesus. The angel Gabriel was sent by God and appeared to Mary to give her a message from Him. Gabriel said to her, “Greetings, favored woman! The Lord is with you!” Is that not a magnificent greeting and blessing? The Book of Luke states that Mary was: “confused and disturbed, Mary tried to think what the angel could mean”. The angel immediately told her to not be afraid because she had found “favor with God! You will conceive and give birth to a son, and you will name him Jesus”. The story of Mary and the birth of her son, Jesus, is the one of the most divine accounts in the Bible. As Christian's, may we be as accessible to the Holy Spirit as Mary. Because of her obedience to God, He was able to work through her to give the world the supreme gift; the birth of Jesus Christ. She is a glorious example for Christians to follow in their own faith walk because of her complete faith in God, she said yes! This coming week we will be celebrating Christmas. For many people the gifts are wrapped, mailed, or under the Christmas tree. The homes are decorated and the food is being prepared for Christmas Day. However, have you made the most important preparation of all? Have you prepared your gift to give to Jesus? Why not take time to contemplate, meditate, and learn from the experience of Mary and her reaction to the angel that God sent named Gabriel. Because she had a willing heart to be obedient to God, she was chosen to give birth to a son named, Jesus. Are you preparing your soul to hear the whisper of His voice when He speaks to you in the hustle and bustle during this Christmas week and Christmas Day? Are you like Mary? Are you ready to say an unconditional yes when the Lord asks a special assignment of you? I wish you and your family a very blessed Christmas. Lord God, thank You for Your presence during Christmas week. Amen. This coming week we will be celebrating Christmas. 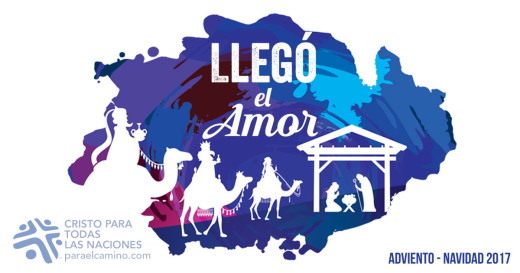 Todos los días del afligido son difíciles; mas el de corazón contento tiene un banquete continuo. 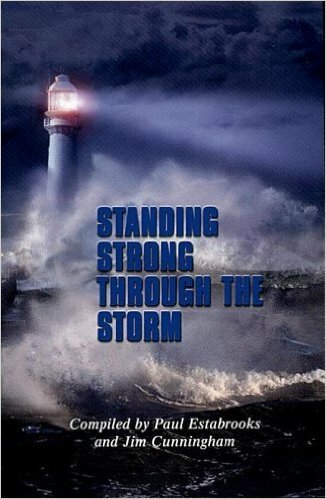 Standing Strong Through the Storm - WHAT’S YOUR STRUGGLE? I’m often questioned about the main difference between a persecuted Christian and a western Christian. My answer has not changed in twenty years. In the persecuted church, Christians realize they are in trouble, and go to God about it. In the western Church, Christians forget they are in a fight, and even if they do remember, never manage to find the time to go to God about it. Persecuted Christians know they are in a fight. Every day they struggle. Not being conscious of a daily struggle may be sure sign that one is losing the battle of life. The ancient Psalmist looked at the rich elite of Israel and said, “they have no struggles.” They should have struggles if they wish to please God. But so many Christians in the world today seem surprised at the language of struggle today. What struggles do the persecuted awaken us to? There is, first of all, the struggle we are always in. Everyone that visits persecuted communities comes away with a renewed appreciation of the spiritual battle we are always engaged in. We have to face up the same question. What is our culture worshipping? Is it, as Francis Schaeffer once said, “the god of personal peace and affluence,” where we don’t mind what goes on in the world so long as our space and prosperity is not affected? Finally, there is the struggle we must create. Brother Andrew tells the story of meeting Pastor Haik of Iran, who said to him in 1993, “Andrew, when they kill me, it will be for speaking, not for being silent.” Haik was killed in 1994. If he had stayed silent about the treatment of his Christian friend, Mehdi Dibaj, Haik would be alive. But he chose to enter, even create, the conflict. The fact is we can avoid struggle if we want. Each of us has to make a choice to speak up, defy the powers-that-be, and bring a struggle into being. Otherwise Satan wins. Persecuted Christians are always in a fight. They struggle all the time, against their own sins, against idolatries in their own societies, and against the orchestration of the evil one who is out to take our worship away from God. Yet these struggles should mark our own lives and churches as surely as the devil does not live exclusively in China or Columbia. This world is the place of struggle. What’s your struggle? The persecuted force us to ask. Everyone ought to have one! 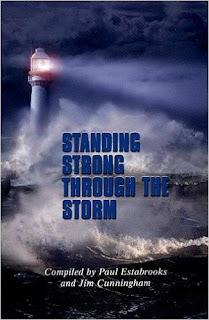 RESPONSE: Today I will affirm and engage in the struggles I face in standing strong against the enemy. 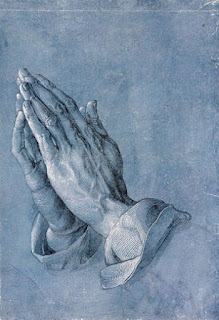 PRAYER: Thank You, Lord, for the struggles the persecuted awaken in me. Help me not avoid them. The spirit of the Lord GOD is upon me, because the LORD has anointed me; he has sent me to bring good news to the oppressed, to bind up the brokenhearted, to proclaim liberty to the captives, and release to the prisoners; to proclaim the year of the LORD's favor, and the day of vengeance of our God; to comfort all who mourn; to provide for those who mourn in Zion-- to give them a garland instead of ashes, the oil of gladness instead of mourning, the mantle of praise instead of a faint spirit. They will be called oaks of righteousness, the planting of the LORD, to display his glory. They shall build up the ancient ruins, they shall raise up the former devastations; they shall repair the ruined cities, the devastations of many generations. For I the LORD love justice, I hate robbery and wrongdoing; I will faithfully give them their recompense, and I will make an everlasting covenant with them. Their descendants shall be known among the nations, and their offspring among the peoples; all who see them shall acknowledge that they are a people whom the LORD has blessed. I will greatly rejoice in the LORD, my whole being shall exult in my God; for he has clothed me with the garments of salvation, he has covered me with the robe of righteousness, as a bridegroom decks himself with a garland, and as a bride adorns herself with her jewels. For as the earth brings forth its shoots, and as a garden causes what is sown in it to spring up, so the Lord GOD will cause righteousness and praise to spring up before all the nations. Rejoice always, pray without ceasing, give thanks in all circumstances; for this is the will of God in Christ Jesus for you. Do not quench the Spirit. Do not despise the words of prophets, but test everything; hold fast to what is good; abstain from every form of evil. May the God of peace himself sanctify you entirely; and may your spirit and soul and body be kept sound and blameless at the coming of our Lord Jesus Christ. The one who calls you is faithful, and he will do this. God our strength and our hope, grant us the courage of John the Baptist, constantly to speak the truth, boldly to rebuke vice and patiently to suffer for the truth's sake; in the name of Jesus Christ our Lord who lives and reigns with you and the Holy Spirit one God now and for ever. Amen. 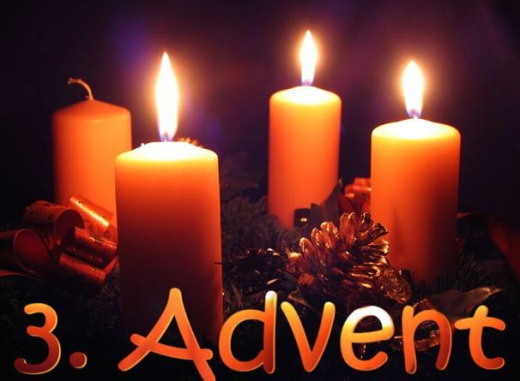 LHM Advent Devotion - December 17, 2017 "WORRY"
But as he considered these things, behold, an angel of the Lord appeared to him in a dream, saying, "Joseph, son of David, do not fear to take Mary as your wife, for that which is conceived in her is from the Holy Spirit." The angel told Joseph not to fear taking Mary as his wife. Devociones de Adviento de 17 de Diciembre de 2017 "Preocupación"
Mientras José reflexionaba al respecto, un ángel del Señor se le apareció en sueños y le dijo: "José, hijo de David, no temas recibir a María, tu mujer, porque tu hijo ha sido concebido por el Espíritu Santo". Un ángel del Señor le dijo a José que no temiera recibir a María como esposa. A primera vista esto nos suena raro, porque ¿de qué tenía que temer José? De varias cosas. Por un lado, estaba el tema del Niño. Por ser el primero, sería el heredero de José aun cuando no era su hijo sanguíneo, y eso a algunos hombres no les gustaba. También estaba el tema del comportamiento de María--¿sería una esposa fiel de allí en adelante? Y quizás hasta se haya preguntado qué iban a decir los vecinos. Porque si se enteraban de que José no era el padre, la vida no iba a ser fácil; y si no se enteraban, pero se daban cuenta que el bebé nacía al menos tres meses antes de lo debido también habría problemas, ya que un embarazo antes de tiempo era una vergüenza. Sin lugar a dudas, todas esas preguntas pasaban por la mente de José cada vez que se iba a dormir. Nosotros también nos hacemos preguntas parecidas. ¿Estoy haciendo lo correcto? ¿Y si me equivoco? ¿Será que su salud está empeorando? ¿Debería hablar con él de ese problema? ¿Qué va a suceder ahora? Pero Dios interrumpió la preocupación de José con su propia fuerza y consuelo: "... no temas... porque tu hijo ha sido concebido por el Espíritu Santo". En otras palabras, Dios le dijo que se estaba haciendo cargo de su situación. Y Dios nos dice lo mismo a nosotros hoy. "El Señor va delante de ti. Él estará contigo, y no te dejará ni te desamparará. No temas ni te intimides" (Deuteronomio 31:8). Ese mismo Niño que causó tanto temor a José, es la razón por la cual nosotros tampoco debemos temer. Él es Emanuel, "Dios con nosotros", y nunca nos abandonará. A través de su muerte y resurrección, nos ha hecho parte del pueblo amado de Dios. ORACIÓN: Querido Salvador, cuídanos y mantennos siempre bajo tu amparo, y ayúdanos a no temer, sino a confiar en ti. Amén.